In a bit of a surprise Deadline is reporting that Warner Brothers is developing a movie based on Batman's greatest villain, The Joker. If you thought the Joker himself was crazy just wait until you hear that it will be directed by Todd Phillips, the guy who made The Hangover films, and produced by Martin Scorsese, one of the greatest film directors of all time. 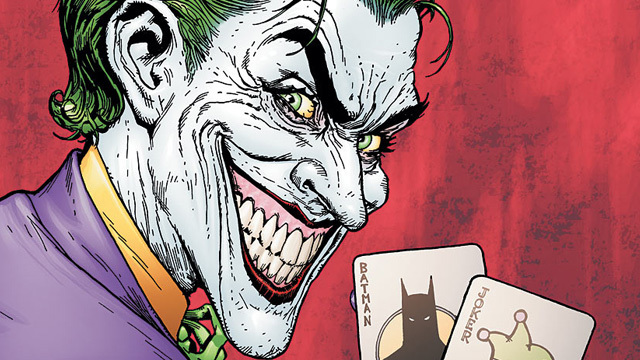 Furthermore it seems that Jared Leto won't star in it and that it will be a Joker origin story taking place in a 1980's Gotham City and the film may not even be part of the current DC Film Universe or at least only be loosely tied to it. It seems Warner Brothers is looking for a gritty crime film which is of course right up Mr. Scorsese's ally. As crazy as all this sounds it might not be the worst idea ever. Perhaps DC shouldn't tie all their films so closely together and allow their universe to form it's own identity, you don't have to be just like the MCU. We will keep you updated as more comes from this story.